Composed by Gohar Vardanyan. Saddle-stitched, Flamenco, Technique, Theory and Reference, Latin American. Style. Book. 24 pages. Mel Bay Publications, Inc #30499. Published by Mel Bay Publications, Inc (MB.30499). ISBN 9780786695478. 8.75 x 11.75 inches. 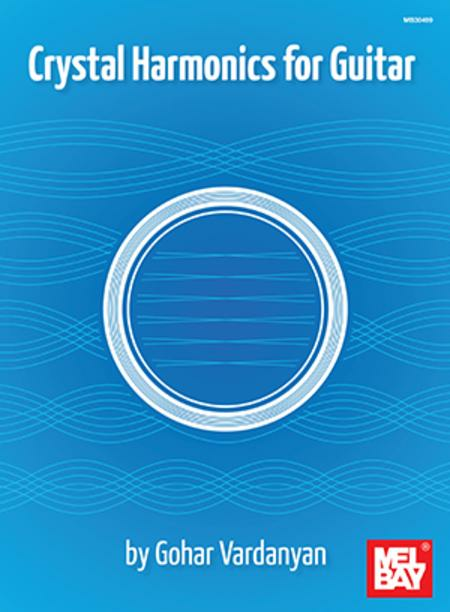 Crystal Harmonics for Guitar provides the guitarist with practical advice on playing harmonics and how to perform them with a crystal-clear tone. The material also covers various notation systems used by composers and publishers and includes examples of harmonics from regular guitar repertoire. Natural harmonic pitches and positions (by string and fret) are presented along with right-hand artificial harmonic techniques. In addition, you will learn how to tune the guitar with harmonics and how to practice passages which include them. This book can help guitarists interpret harmonics and provides composers with notational informationto facilitate the reading process.